We appreciate your comments, suggestions and feedback. If you have any grief questions, check out our Bereavement Forum. If you don't find what you are looking for, you can enter your question there and we will answer it for everyone to benefit. We are sorry that we can't answer your personal bereavement questions individually. For any other enquiries regarding this website, please use the form below. You can also contact us by message via our Facebook page. 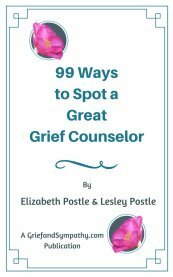 We welcome enquiries from our colleagues, writers and experts in the grief field regarding publishing articles or other projects or collaborations that may benefit those who are grieving. Grief and Sympathy, PO Box 142, Thirlmere, NSW, Australia.